Reviewing the history of LASIK eye surgery is essential, as it provides the fundamental principles, which form the basis for better understanding the currently used techniques. The history of LASIK surgery dates back to 1949 when the Spanish ophthalmologist José Ignacio Barraquer of Colombia was the first to describe adding or removing corneal tissue as an option to change the refractive power of the eye (i.e., to reduce or eliminate refractive errors). Barraquer called his procedure keratomileusis. The word keratomileusis is derived from the Greek word keratos, which means “cornea” and mileusis, which means “carving” – literally carving of the cornea. In keratomileusis, Barraquer removed a slice of the patient's cornea in a form of a disk, which was deep frozen and reshaped like a contact lens to achieve the desired refractive change. The disc was finally sutured back on the remaining cornea. Initially, Barraquer performed keratomileusis through a free-hand dissection of the cornea. Later in 1963, he developed a carpenter's plane-like device called microkeratome, to get more accurate shaping of the removed corneal disc. Because of the technical difficulties associated with this procedure and the high incidence of complications, keratomileusis never gained widespread acceptance. Later on, Luis Ruiz, a student of Barraquer, developed an automated microkeratome, which was a major advancement in the field of refractive surgery, and the surgery came to be known as Automated Lamellar Keratoplasty (ALK). This technique, gained considerable popularity especially in the US prior to the approval of excimer lasers by the FDA. The advantages of ALK were the ease of surgery and a fast visual rehabilitation. However, ALK was not a very predictable procedure and had inherent complications such as irregular astigmatism. In 1975, the first Excimer laser was created by Stuart Searles (IBM) to etch circuits into computer chips without melting the silicon. Later on, this laser was tested by the US military on many materials even on the cornea. Trokel and Srivinivasan in 1983 suggested the first corneal application of the excimer laser and in 1988, McDonald and Kaufman, in the form of photorefractive keratectomy (PRK), performed the first surgical applications of the excimer laser. In 1990, Ioannis Pallikaris of Greece and his colleagues, made the next major advancement in the field of LASIK eye surgery when they introduced the combination of a hinged corneal flap with an excimer laser ablation (combination of ALK and PRK). They also coined the term LASIK, which became popularly used in the corrective refractive surgery worldwide. Lucio Buratto of Italy in 1996 started the down-up LASIK with a vertical cut from below upwards resulting in a superior hinge. The introduction of laser assisted Subepithelial Keratomileusis (LASEK) by Massimo Camellin in 1999 further broadened the indications of excimer laser surgery. This enabled performance of laser ablation for relatively thin corneas with higher myopic refractive errors. Josef Bille from Heidelberg, Germany is the father of wavefront technology. Theo Seiler is credited with the first wavefront-guided LASIK in 1999. This type of LASIK creates a personalized procedure to correct your vision. It addresses problems that eyeglasses, contact lenses, and conventional LASIK cannot address. LASIK is currently the most popular refractive surgery procedure performed worldwide for the correction of a wide range of refractive errors. New advances offer the promise of improved safety and visual outcomes of LASIK with further reduce in the LASIK complications rates. Knorz MC. Laser In Situ Keratomileusis. In: Kohnen T and Koch DD, Cataract and Refractive Surgery, Ch.12, P 189-201, Springer Berlin Heidelberg, 2005. M Vanathi, Sharma N. Landmarks in LASIK Surgery. In: Vajpayee RB, Sharma N, Melki SA, and Sullivan L, Step BY Step LASIK Surgery, Ch.1, P2-6, Taylor & Francis Pub. 2004. I Pallikaris and T Papadaki. History of LASIK. 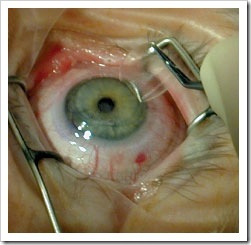 In: Azar DT & Koch DD, LASIK Fundamentals, Surgical Techniques, and Complications, Ch.2, P.21-39, 2003. Its really helpful source and informative for students as well thanks for sharing.I have found free Lasik evaluation from eye surgery sacramento. check this out what you say about it? hello i found the blog is really more informative and it is really helpful for the students too. 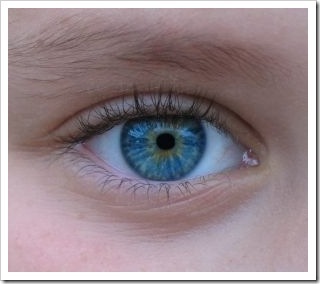 the main thing here is the awarness about the eye surgery because in the previous people have the fear about the eye surgery so such informative blog really provide the help to the patient and reduce the risk. the link here i am willing to share with you guys is really helpful for the patient so check it out.